Please note that while we migrate our website to our new domain, HandbellMusicians.org, the links above have been temporarily disabled. However, the Past Issue and Fun Stuff archives will return soon. In the meantime, you can download this month’s Fun Stuff installment, Ringing Valentine, HERE. My parents weren’t what you’d call regular attendees at church. My spiritual upbringing consisted mainly of short stints in Bible school before my parents gave up for the year or tagging along to my friend’s church activities. One year during junior high, I went with a friend’s family to their church for Sunday morning service. I was thirteen years old when I heard the beautiful sound of handbells for the very first time at that service. I will never forget the way the bells coming from the back of the sanctuary filled the building with joy and happiness, and I walked away with only the thought that I must play that instrument. I went home and told my mom I wanted to join the handbell choir, and she immediately called the church and made arrangements. We met with the director, and that next week I started my life’s journey as a handbell musician. 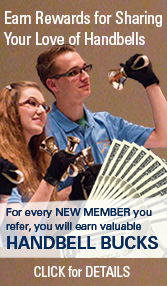 In the past 23 years, I have never missed a handbell season. I’ve played on crutches, with the flu and uncomfortably nine months pregnant (twice). For six months in college I lived in a small town in northern England and found a choir of little old ladies who played two octaves of Whitechapel bells around a dining room table reading music from hymnals. When I had a quarter left of college, I drove over an hour each way to practice with my new choir in the town where I would start my career post graduation. I walked down the aisle to Blessed Assurance and listened to handbell CDs while pregnant with both of my daughters. I simply would not be whole without handbells in my life. Playing handbells allows me to express my joys, frustrations and sorrows wordlessly through the medium of music. I love the physical motion of ringing, reaching, spilling emotions out onto the audience. It allows me to purge the stress of daily life, refreshing myself for another hectic week. My heart swells while in front of an audience, watching the happiness spread across their faces or hearing them hum along to familiar favorites which more than once has moved me to tears. Some of the most memorable and amazing experiences of my life have been with my handbell choir. Most recently this past spring, our group performed an entire concert for a single audience member, our beloved position 9 ringer, Ginny, who had suffered an aneurism just a few months earlier. Another highlight was a joint concert in 2007 in Eberswalde, Germany with our choir Ring Around the World, a German Gospel choir and a Polish choral choir alternating performances and ending the concert with all choirs singing and ringing Let There Be Peace on Earth. It was an amazing way to break down barriers and stand united for a moment in time with so much conflict happening around the world. How lucky we are to be able to share the wonderful gift of music with others! Christina Herold, an E-Business Systems Consultant at Wells Fargo, starts her Master of Arts in Organizational Leadership this Fall and is married with two young daughters. 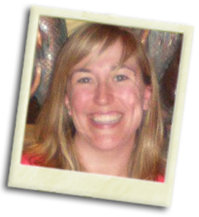 She is in her 10th year with the Twin Cities community group, the Ding Dong Dollies, and directs the youth handbell choirs at St. Stephen’s Episcopal Church in Edina, Minnesota. Then, toward the end of the piece, I caught a break. Triplets. And not just triplets, but triplets against even eighth notes. Hallelujah; I had never been so excited to see this rhythmic paradox in my life! Nearly every amateur musician has issues with triplets (hey, if the shoe fits…), so I could just discuss how I would teach that rhythm, and forget all about it being on these brass (what? bronze? huh?) bells! I was offered that job and accepted what I thought would be a very short-term situation before I could rid myself of these handbells. More than 13 years later, I’m still there and the church’s handbell ministry has literally changed my life. And Lennis still rings with us. Oh, there are so many! I could talk about the time I received my “non-gender-specific polyester child” (read: stuffed animal) from some zany West Coast handbell friends. Or I could talk about National Seminar and International Symposium 2008 in Orlando, when I achieved a warped form of “celebrity status” because I was in a boot for a broken foot and a rolling scooter and at one point was in a jester costume for a Renaissance lunch (which breaks down all language barriers, since pointing and laughing at the crazy guy is pretty much universal…). But the one that takes the cake has got to be Distinctly Bronze 2008. It was my first year ringing in the event, and we were playing my first “circus piece,” Carnivale. It had been a really long day, not everything had gone particularly well in our penultimate rehearsal and everyone seemed kind of tired and tense. Because Carnivale portrays the merriment of a circus, its performance notes include suggestions for various “sight gags.” The last note says that “hosing down the conductor with a seltzer bottle at the end of the piece may just be the ultimate coup de grace.” Well, we didn’t dare ambush Maestro Davidson with seltzer bottle, but in the final dress rehearsal, four of us rushed the podium with two cans of Silly String each and let it fly. 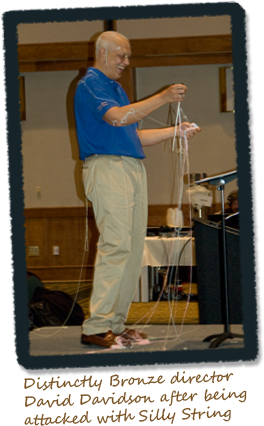 Davidson was so incredible; I’ll never forget him laughing hysterically as Silly String was zooming through the air at him, and the man literally never missed a beat. He kept on conducting right to the very end of the piece and didn’t even falter. That memory brings a smile to my face every time I think of it, for so many reasons (not the least of which is the pretty exclusive distinction of being someone who stormed the Distinctly Bronze podium with Silly String!). Michael J. Glasgow is originally from Michigan. He holds B.A. degrees in music theory/composition, and in journalism; as well as a Master of Church Music degree from Concordia University Wisconsin as the program’s first double-emphasis student, in both choral and handbell music. In addition to many professional affiliations and his full-time position as the Minister of Music at North Raleigh UMC (Raleigh, North Carolina), he serves as Bass Section Leader for the North Carolina Master Chorale, the Choral Conductor for the Tar River Orchestra & Chorus, and the Music Director for the Oakwood Waits. 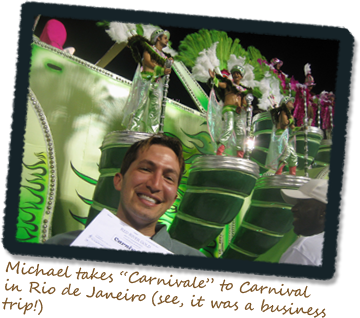 Michael is a dynamic, energizing conductor who connects well with people and music, and as such is sought after for conducting engagements throughout the country. As a composer, he keeps busy with commissions and his own projects, and he strives to creatively advance the art of handbell ringing. He was awarded first prize in the 2006 Soundprint Productions Composition Contest for his original jazz handbell piece, Celerity; as well as first prize in the 2007 Bells of the Sound “Three Ring Circus” composition contest for “Bumping Noses.” His most recent contest win is for “Welcome the King,” an SATB carol accompanied by solo viola, created for the 2009 VocalEssence “Welcome Christmas” composition contest. 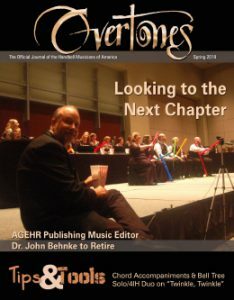 Michael is proud to be an integral part in the development of new handbell events, having conducted the first three annual Anthornis events for advanced ringers in Minneapolis in 2008 – 2010. 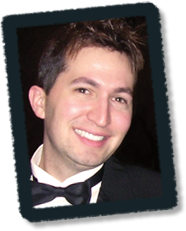 He also serves as the Editor for the AGEHR Area 3 newsletter, The Bell-O-Gram, and is a member of ASCAP and American Composers Forum.